I had a girlfriend over when I was developing this recipe and we both absolutely loved these frozen pineapple margaritas! 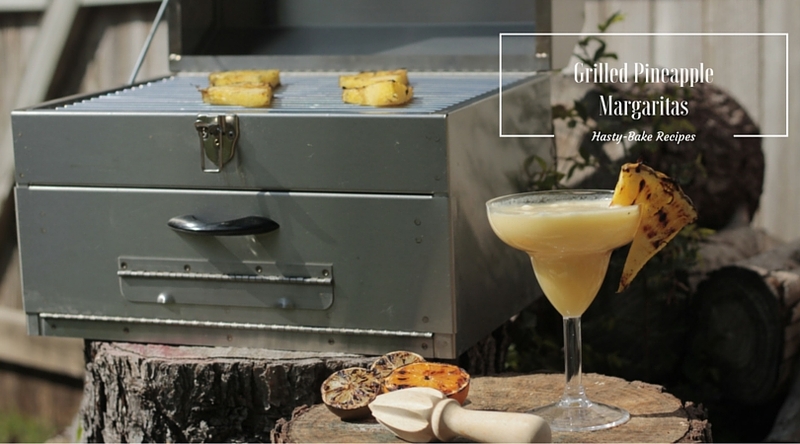 They are like drinking a dessert, with amazingly complementing flavors from the grilled pineapple, orange, and lime. I like the smoothie-like texture in this recipe, but if you want it to have the texture of a classic frozen margarita just add some ice when you blend everything else! 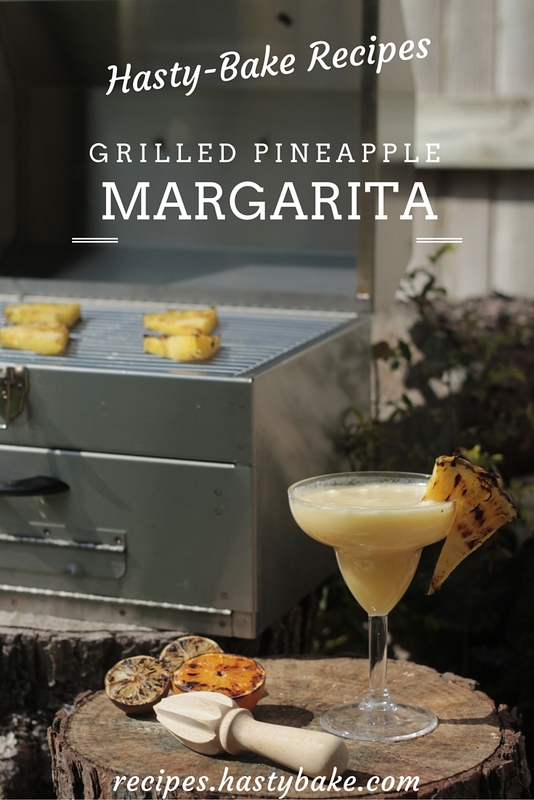 We used the Portable 369 Charcoal Grill to grill the fruit for our grilled margaritas. 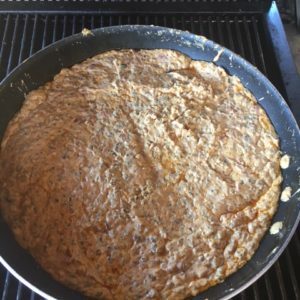 The Portable is our “go anywhere” Hasty-Bake and it’s perfect for tailgate parties, apartments, and outdoor activities-wherever you get hungry. Click here to purchase one for yourself! To grill your pineapple: Cut and core your pineapple. Rings or strips are both fine for grilling. Grill until the pineapple begins to caramelize. 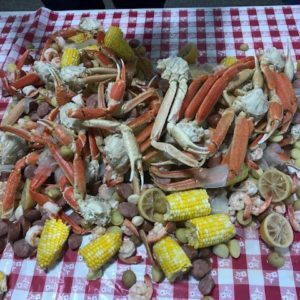 Allow to cool, cut into chunks, and freeze overnight in a plastic freezer bag. You want about 2 cups of pineapple. To grill your orange and lime: simply cut them in half and grill flesh down until caramelized. Allow to cool, juice and strain, then store in the refrigerator until pineapple is frozen. It helps to lightly oil your grill before grilling fruit. Place the frozen pineapple, juice from the grilled orange and lime, the orange liquor, tequila, and agave in a blender and blend until smooth. Serve in margarita glasses with plastic straws cut short to fit in the glass. Garnish with a piece of grilled fruit. Enjoy!